"A fabulous world below the world"
Set in late 19th century Scotland, Journey to the Center of the Earth tells of the adventures of Professor Lindenbrook and his geology student Alec McEwan. The two of them find a three hundred year old message inside a rock that leads them on a perilous and exciting voyage to discover the center of the earth. Once they reach Iceland, where their journey must start, they discover a rival Swedish scientist who wants to beat them to the discovery. 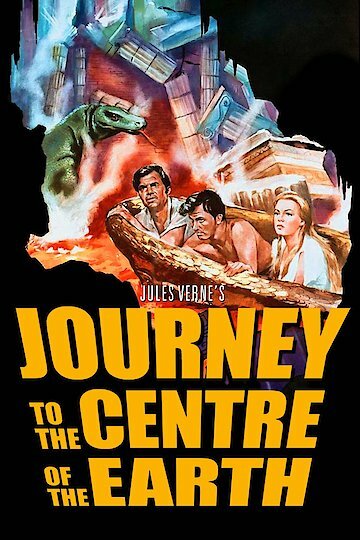 Journey to the Center of the Earth is currently available to watch and stream, buy on demand at Amazon, Vudu, Google Play, iTunes, YouTube VOD online.